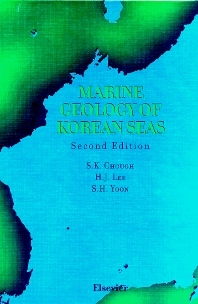 Tremendous progress has been made in the geological understanding of the Korean seas with the advances in sophisticated exploration techniques, specifically in the areas of marine geophysics, sedimentology, geochemistry, and palaeoceanography, since Marine Geology of Korean Seas was first published in 1983. This book gives a comprehensive overview of the marine geology of these unique seas, including physiography, sedimentary facies and depositional processes of surface sediments, sequence stratigraphy, geologic structures, and basin evolution. In this edition, new results and interpretations have been incorporated that help to formulate geological models on the evolution of the Korean seas in relation to the adjacent continents. For geologists, and those concerned with mineral and hydrocarbon exploration in the Korean seas. Preface. Introduction. Korean Peninsula. Introduction. Kyonggi and Yongnam Massifs. Okchon Fold Belt. Taebaeksan Basin. Imjingang Belt. Orogenic Events. Cretaceous Non-Marine Basins. Pohang Basin. Jangki Group. Quaternary Volcanism in Cheju Island. Sedimentation and Tectonic History. Yellow Sea. Physiography. Geologic Setting. Northern Yellow Sea Basin. Southern Yellow Sea Basin. Basin Evolution. Shallow Structure. Surface Sediments. Dispersal of Fine Sediment in the Western Part. Dispersal of Fine Sediment in the Southeastern Part. Mass Physical Properties. Tidal Flats. Reclamation Effect on Sedimentation: Daeho Area. Transgressive Holocene Sequence Stratigraphy. South Sea and East China Sea. Geologic Setting. Sedimentary Basins. Coastal Embayments. Surface Sediments. Late Quaternary Transgressive Deposits. East Sea. Physiography. Crustal Structure. Magnetic and Gravity Anomalies. Heat Flow. Age and Type of Crust. Stratigraphy. Tectonic Evolution. Surface Sediments. Late Quaternary Sediments. Late Quaternary Paleoceanography. Eastern Continental Margin. Physiography. Geologic Structures. Seismic Stratigraphy. Sedimentary Basins. Evolution History. Surface Sediments. Late Quaternary Sediments. Ulleung Basin. Physiography. Crustal Structure. Gravity and Magnetic Anomalies. Seismic Stratigraphy. Tectonic Evolution. Late Quaternary Sediments. Late Quaternary Sedimentation. References. Subject index.